In today’s ever-changing digital landscape, it is more important than ever to have a strong and cohesive online presence. A brand’s digital footprint can make or break a business. My work in digital marketing is a culmination of my strengths as visual artist and storyteller. I collaborate with individuals and companies to create holistic and immersive experiences for the end-user. I believe the combination of social media, content creation and an effective website, is the most powerful way a brand can share their business and passions with the world. This in turn generates buzz, awareness and exposure to new audiences at a much faster rate (and with more tangible results) than traditional media ever could. Full Digital Marketing packages, consultation, and on-going management services are available for individuals and businesses. Areas of specialty: Dance, Fashion, Solo and Small Creative Businesses. I began Social Media Management for AinslieWear’s Instagram account in June 2018. Over a 6 month period, the account saw an increase of 2,868 followers, from 10,998 to 13,866 total followers. @ainsliewear achieved a 130% growth rate when considering the prior 6 months. This is an increase of 34% in overall follower growth compared to December 2017. This success was organic (no bots here! ), by implementing a more sophisticated social media strategy, improving visual curation of the feed, and developing stronger content and more engaging posts. Video can be a powerful way to showcase your brand to prospective customers. Having run my own YouTube channel for some time, I was delighted to create something special for AinslieWear. 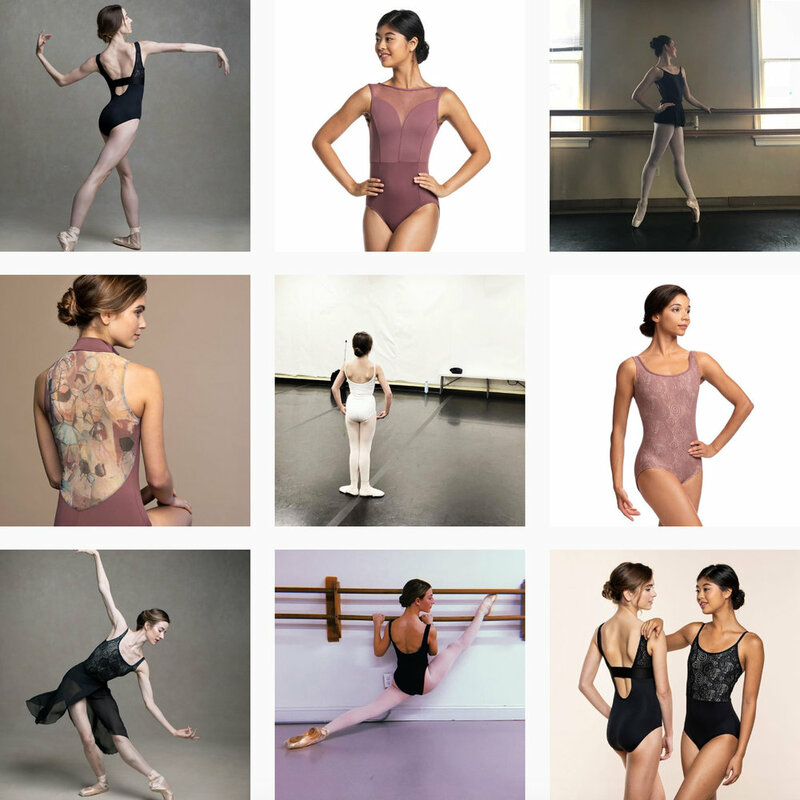 Dance is movement and as a dancewear brand, video seemed like the perfect fit for AinslieWear. 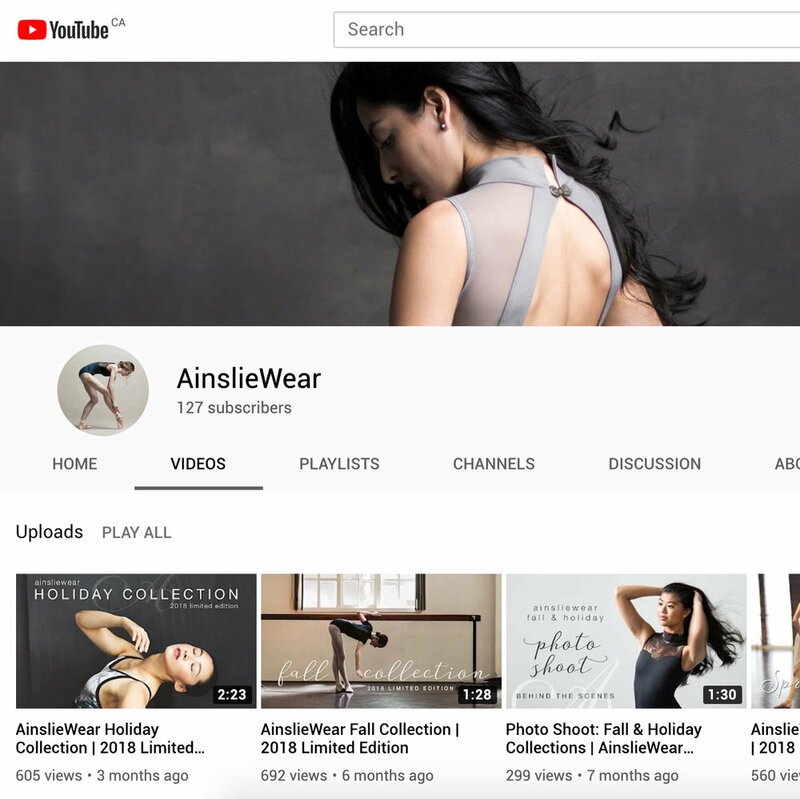 I launched AinslieWear’s YouTube channel in early 2017 to better showcase their beautiful products and the people behind them. 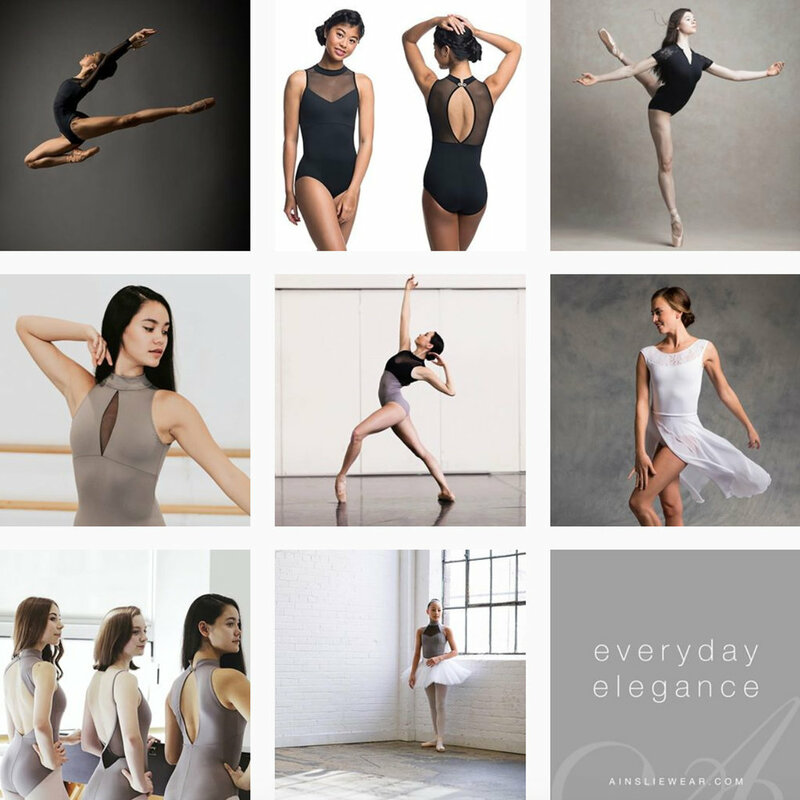 Videos featuring collaborations with aspiring and professional dancers, collection sneak peeks, and photo shoot behind the scenes, have assisted in sharing the AinslieWear brand with a wider audience. 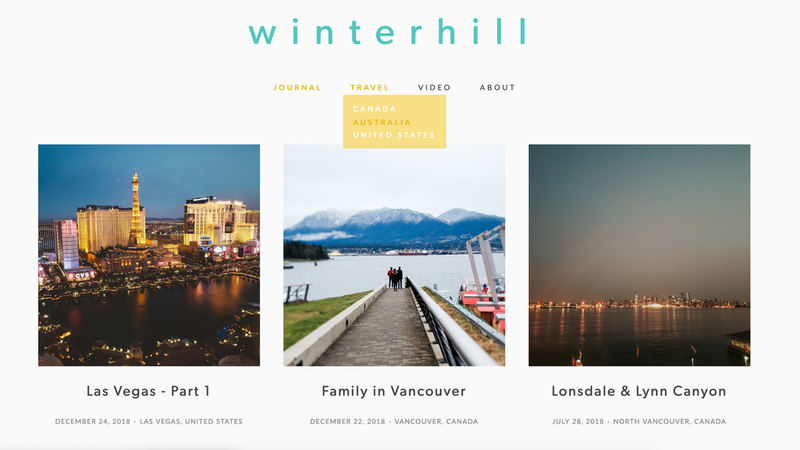 Curating the feed and new content, scheduling posts, writing captions, following and setting trends. Managing social feeds and communities, monitoring and responding to interactions via comments and direct messages. Ambassador and influencer programs, instagram contests and encouraging positive interactions between brands and their fans. I’m a bit of a website geek. As soon as my family had dial-up installed (remember those days?! ), I fell in love with the internet and the possibilities of website design. The creative freedom that comes with having your own slice of the web remains one of my favourite things. Like I said, I’m a geek. Tinkering with websites has been a long-term hobby of mine. At age 15, I taught myself the basics of HTML and CSS coding, and made my own pixel art websites. The internet has (thankfully) evolved from this time, and we are now blessed with DIY website builders. No coding required! Squarespace is now my website template of choice. I liken myself to that of a visual designer. Rather than manipulating code and attempting to re-invent the wheel, I take templates and adjust the visuals to make it the best user experience possible… while making your work look (even more) beautiful! Put it this way - I use the incredible tools we have available to us (such as the professional designs on offer at Squarespace), and apply my ‘Kisarhi’ flair to the visuals and display. By using the innovative platforms such as Squarespace, Format and Shopify, the power is put back in your hands to make edits on the fly. Gone are the days where you need to contact the external web team to change a product price or update contact information - and pay a small fortune for the service! I’m here to make your template website really shine. I’ll make sure your changes in copy, new product launches, and blog posts always look beautiful. eCommerce Management, Consultation and Advice. UI design by Twirling Umbrellas. Social Media (posts and stories), Video and Photography.